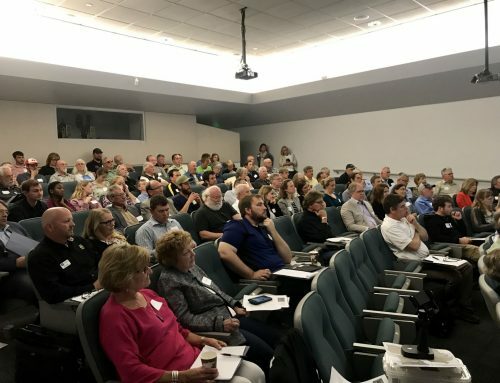 The Upper Iowa Watershed Management Authority recently kicked-off a process to develop a 20-year plan for increasing resiliency to flooding along the Upper Iowa River and its tributaries. The planning process, led by Northeast Iowa RC&D, is part of a $96.9 million state-wide Iowa Watershed Approach project, funded by a grant from the U.S. Department of Housing and Urban Development. Record-setting floods in recent years prompted new approaches to flood risk reduction. The Iowa Watershed Approach gives communities an opportunity to evaluate past and future flood impacts and invest in strategic solutions at the watershed level. 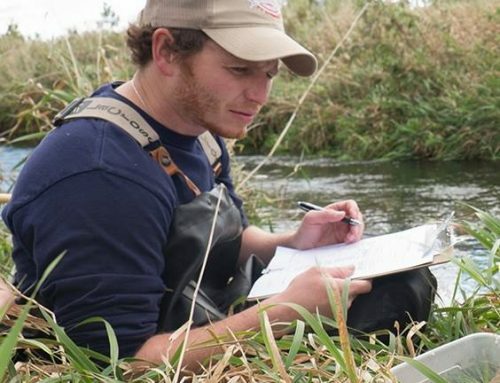 The Upper Iowa WMA formed in 2015 as a partnership of cities, counties and conservation districts, who have committed to work together in their shared watershed to reduce the risk of flooding and increase water quality. 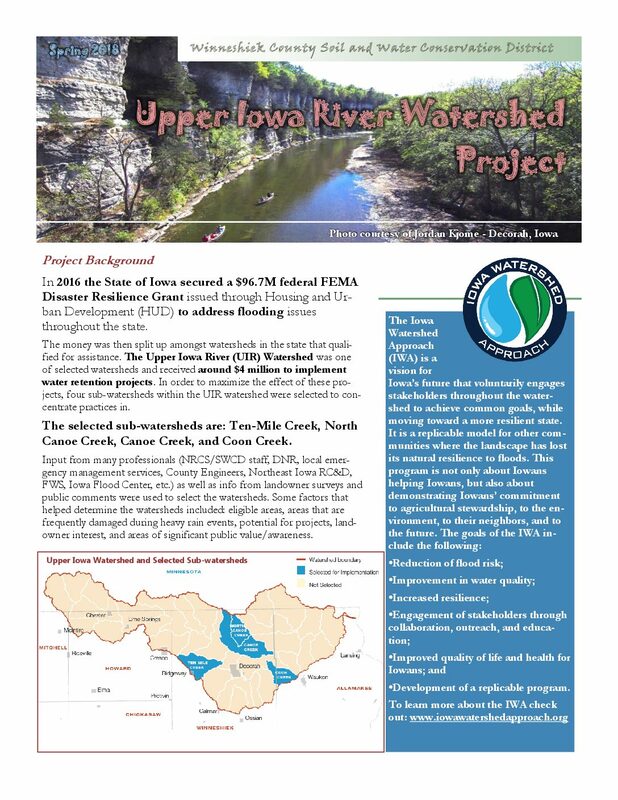 To learn more about the Upper Iowa WMA, or about the resiliency planning process, visit their website at www.upperiowariver.org.